Frederick Blessing Guardineer was born October 3, 1913 in Albany, New York. His father, Frederick Reid Guardineer, was born 1881 in Albany. His mother, Anne Mariah Blessing, was born 1882 in Voorhesville, NY. His parents married in 1907. He was their only child. The family lived at 289 West Lawrence Street in Albany. The father was a collection lawyer for the New York Telephone Company. He had attended The Albany Law School and Dartmouth College (Class of 1903). In 1917 the father was assigned to the law office of the New York Telephone Company of Westchester County, so the family left Albany and moved to Hastings-On-Hudson, NY, where they lived at 17 Chestnut Drive. In the summer of 1924, when Fred was ten years old, the family of three took a vacation to Bermuda. They traveled on the Steam Ship Victoria. In 1928 the father was re-assigned to the law office of the New York Telephone Company in Albany, so the family left Hastings-On-Hudson and moved back to Albany, where they lived at 79 Brookline Avenue. 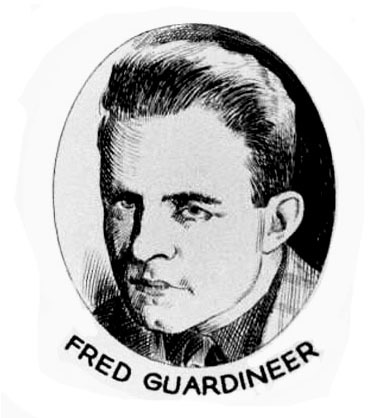 In 1932 Fred Guardineer graduated from high school in Albany. That fall he began to attend Syracuse University, where he studied in the College of Fine Arts. His most influential teacher was Hibberd Van Buren Kline (1855-1957), a successful illustrator of pulp and slick magazines. Other artists who studied at this school include Tom Lovell, Harry Anderson, Elton Fax, Paul H. Stone, Ray Quigley, and James Ernst. While a student at Syracuse University, Fred Guardineer became the Art Editor of the student magazine, The Orange Peel. On November 4, 1934 The Syracuse American newspaper reported that the Studio Restaurant planned to exhibit the works of Fred Guardineer, a senior at the College of Fine Arts. 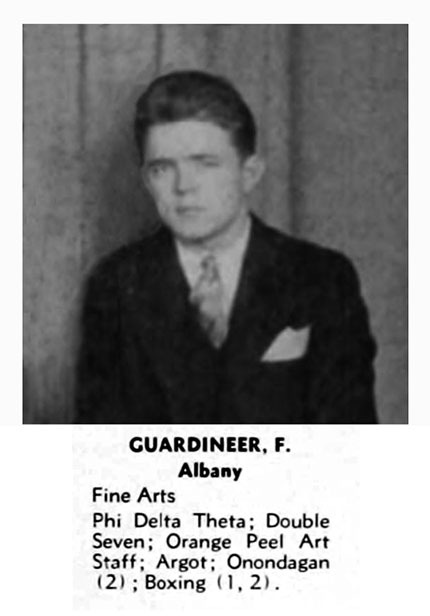 In June of 1935 Frederick B. Guardineer graduated from Syracuse University. That summer he traveled on the Steam Ship Ile de France to Paris, where he stayed for one month to study the art museums. He returned to America in August and lived at home with his parents in Albany, where he prepared a portfolio of sample illustrations. 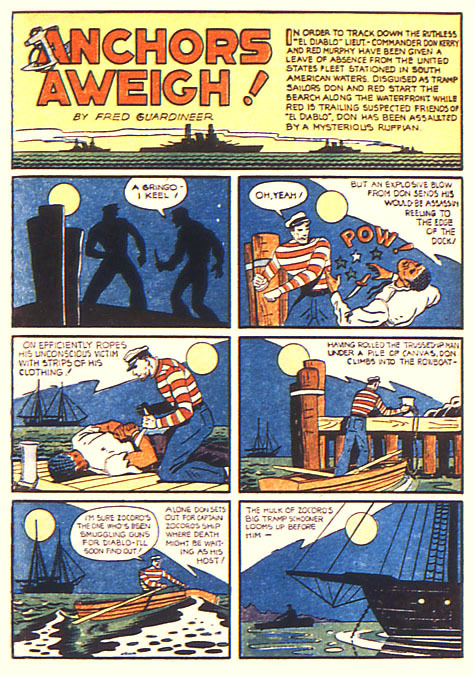 In September of 1935 Fred Guardineer left home in Albany and moved to New York City to become a freelance artist. At first he stayed at the Hotel Latham at 4 East 28th Street. He pounded the pavement to show his portfolio to art editors. During these efforts he met Harvey Dunn, Mario Cooper (1905-1995) and Al Dorne (1906-1965). 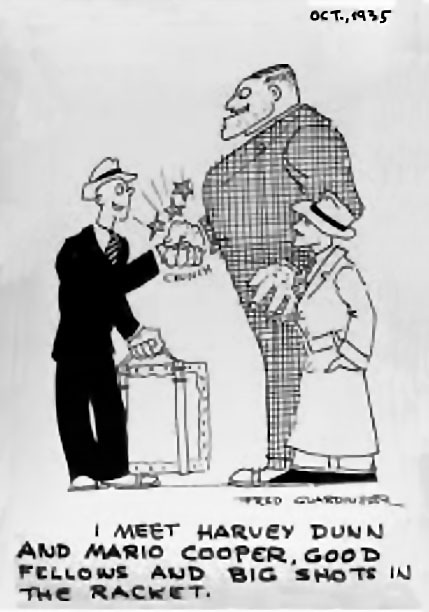 According to Fred Guardineer, "The bigger the big shot, the nicer they are, and the small fry are the only egotists!" 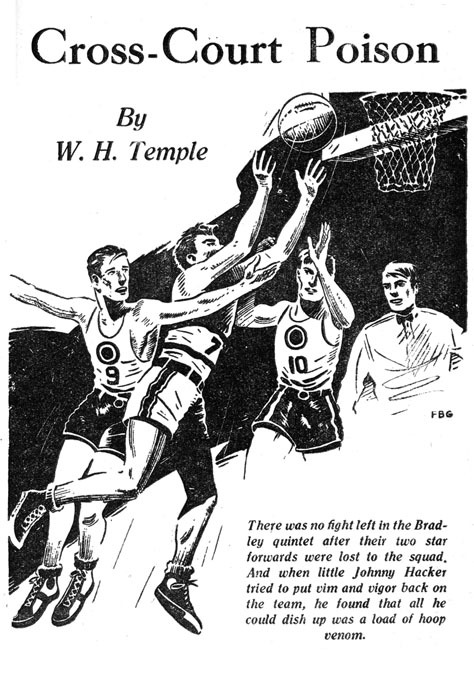 In 1936 an older alumni from Syracuse University, Tom Lovell, introduced Fred Guardineer to the art editor at Street & Smith, where his drawings were published in Sport Story. 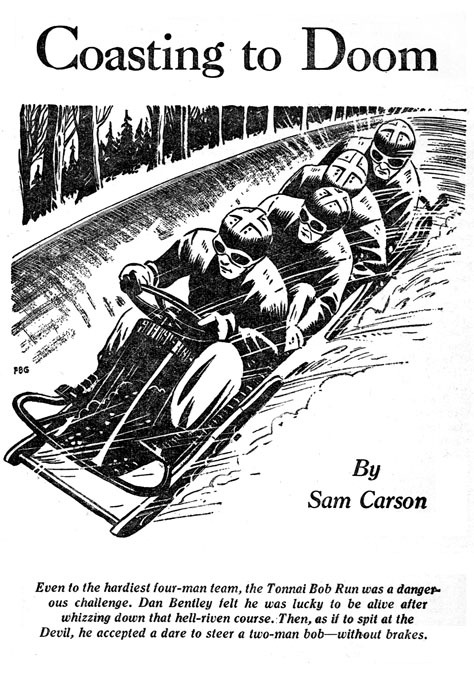 He went on to draw interior illustrations for pulp fiction magazines, such as Thrilling Adventures, Detective Tales, Ten Detective Aces, Ace Sports, and 12 Sports Aces. 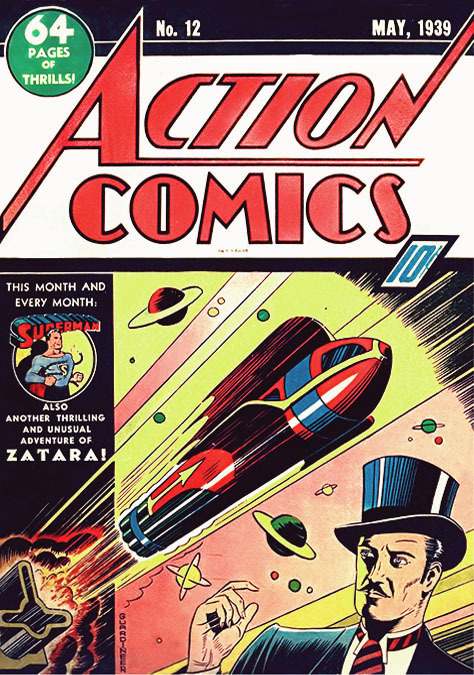 Through this work he became friendly with Creig Flessel and Vincent Aloysius Sullivan (1911-1999), who helped him to find work at comic books. 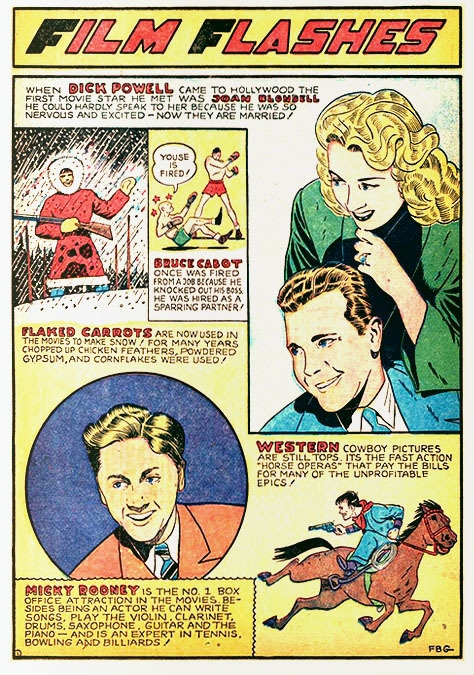 Fred Guardineer was soon drawing for Adventure Comics, Action Comics, Funny Pages, Star Ranger Comics, National Comics, Big Shot Comics, and Hit Comics. 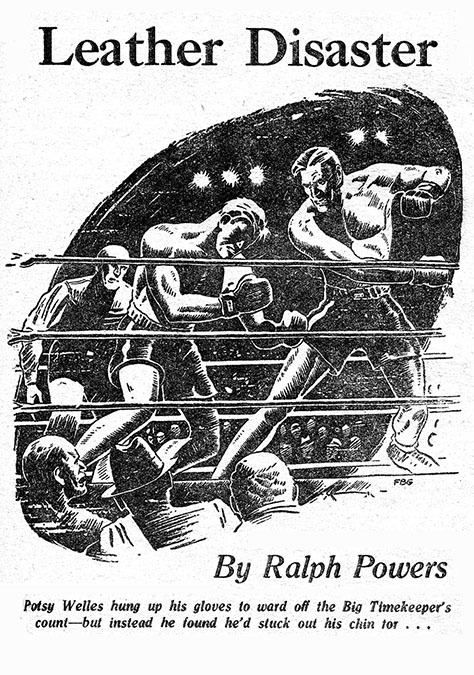 By 1940 Fred Guardineer was a successful freelance commercial artist working for both comic books and pulp magazines. In 1938 he married Ruth Ball. She was born on November 17, 1917 in New York, and was a medical student at New York University. The married couple moved to Long Island, where they had one child, Gary Guardineer. The family lived at 51 Lakeland Avenue in Babylon, NY. On September 1, 1943 Fred Guardineer's mother, Anne Mariah Blessing Guardineer, died at the age of sixty-one after a lingering illness at Albany Hospital. 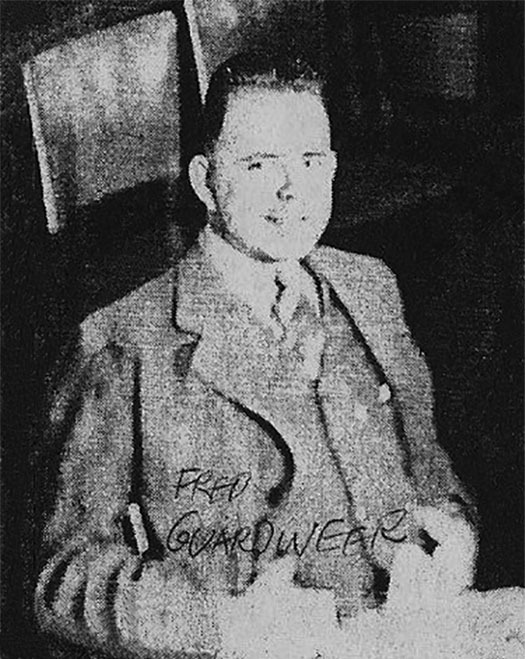 On March 25, 1944, during WWII, Fred Guardineer enlisted in the Army. He was stationed at first at Camp Upton in Yaphank, NY. He served for the duration and was honorably discharged on February 12, 1946. 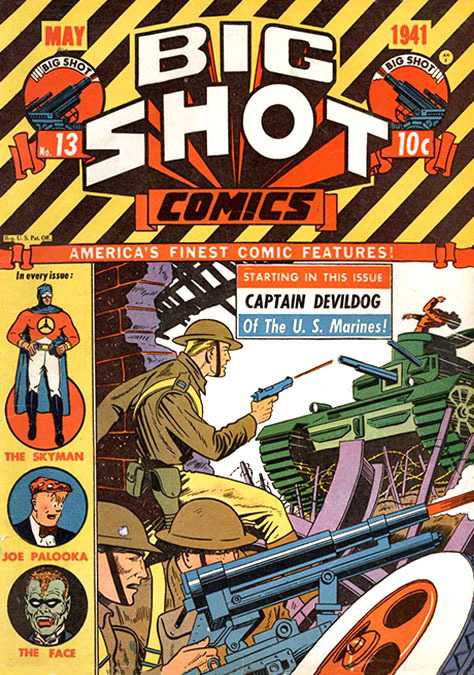 After the war, Fred Guardineer returned to illustrating comic books. 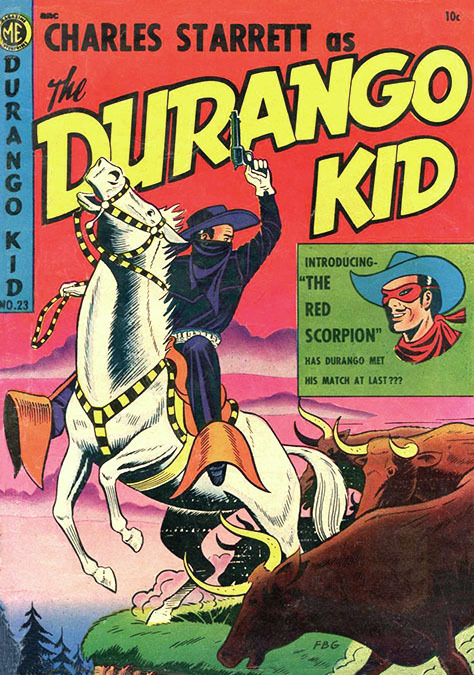 His work was published in The Durango Kid, Desperado, Best of the West, The Avenger, Strongman, Manhunt Comics, Crime Does Not Pay, Boy Meets Girl, and Space Ace. 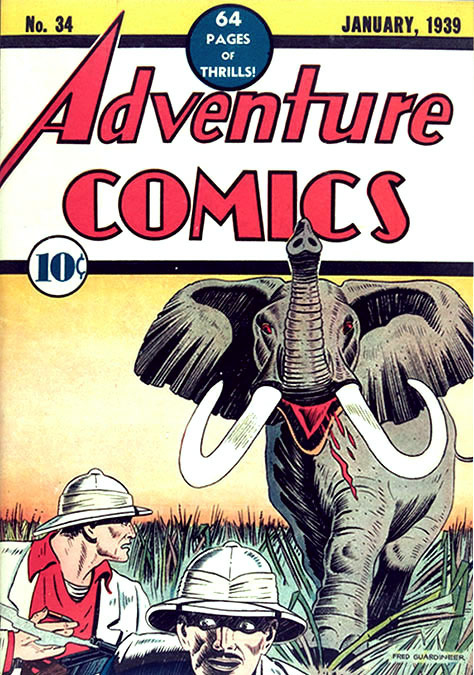 Fred Guardineer drew comics for several different publishers, including for H-K Publications. That company name was derived from the initials of the co-publishers, Hardie and Kelly. Joseph Johns "Uncle Joe" Hardie was born March 21, 1897 in Pittsburgh, PA, and died on December 18, 1967. 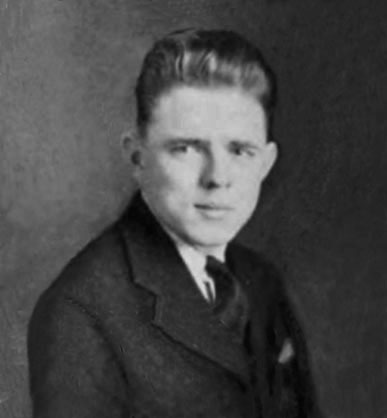 Raymond J. Kelly was born November 20, 1890 in Brooklyn, where he also died on October 19, 1964. 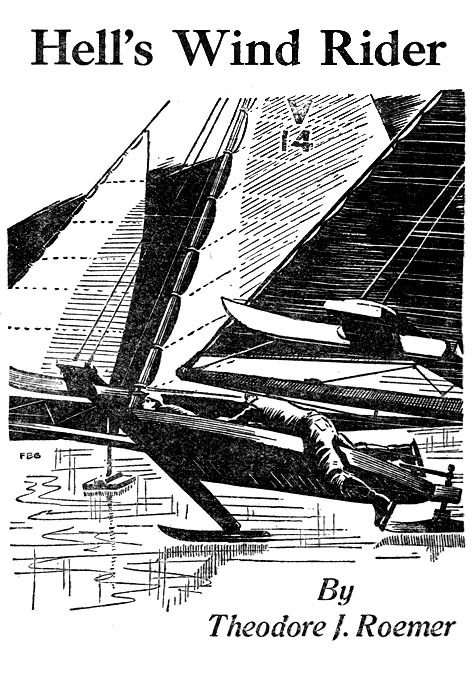 "Uncle Joe" Hardie was unique in giving his artist printed credit. 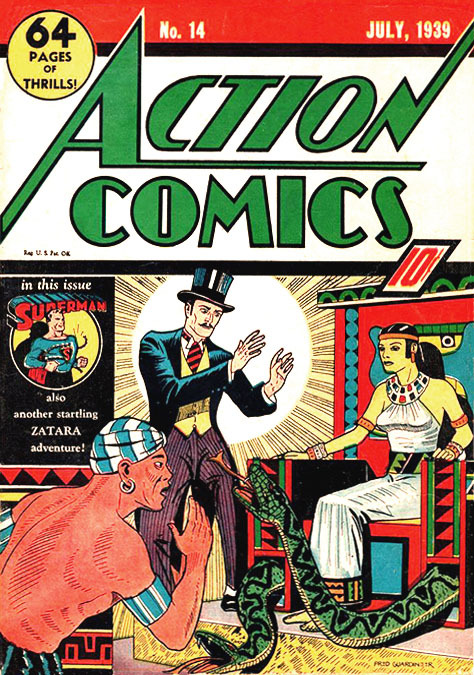 He also encouraged his artists to draw self-portraits that were often published on the title pages of H-K comic books. In 1948 the artist's widowed father married a second wife, Helen Gowen. She was born in 1897 in Albany. In 1951 the father quit the New York Telephone Company, left Albany and retired to Orlando, Florida, with his second wife. 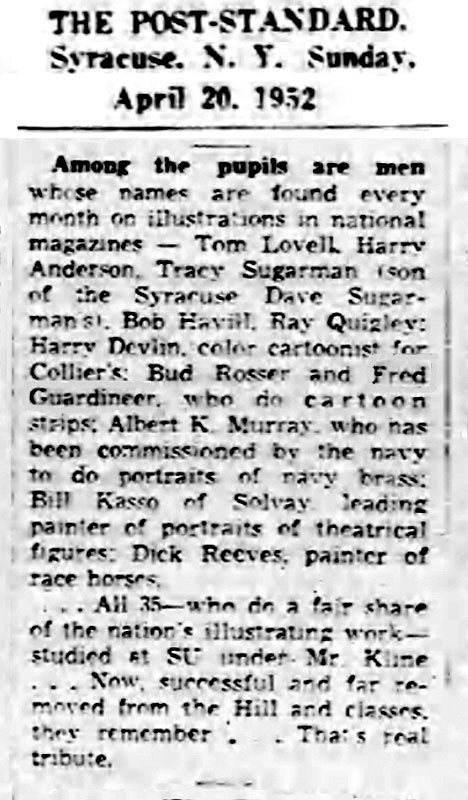 On April 24, 1952 The Syracuse Post-Standard newspaper reported Syracuse University College of Fine Arts had organized a tribute exhibition in honor of professor H. V. B. Kline, who was retiring. The show included works by thirty-five former students, all of whom were professional artists, including Fred Guardineer. 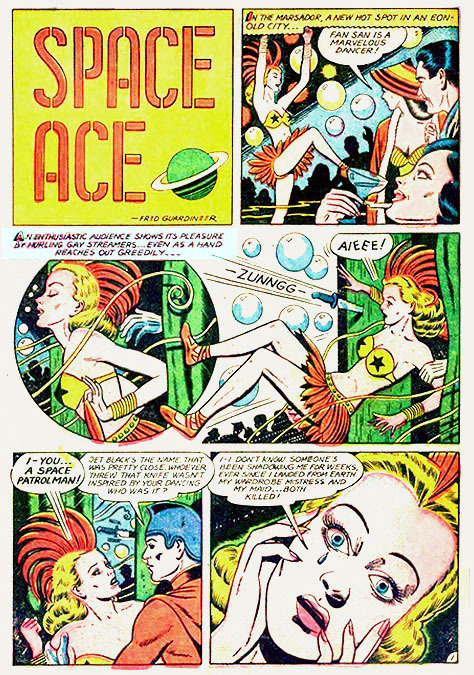 In 1954 as the pulp industry ended and comic books struggled with self-censorship, Fred Guardineer stopped working as a free lance artist. Instead he went to work as a mail carrier for the U. S. Post Office in his home town of Babylon. He enjoyed the work, the steady salary, and the promise of retirement benefits. His wife, Ruth Ball Guardineer, wrote articles for the local newspaper, The Babylon Leader, where she eventually became the editor. She later became editor at The Babylon Beacon. In his spare time, Fred Guardineer continued to use his talent to build a local free-lance art business that specialized in fishing and outdoor sports. 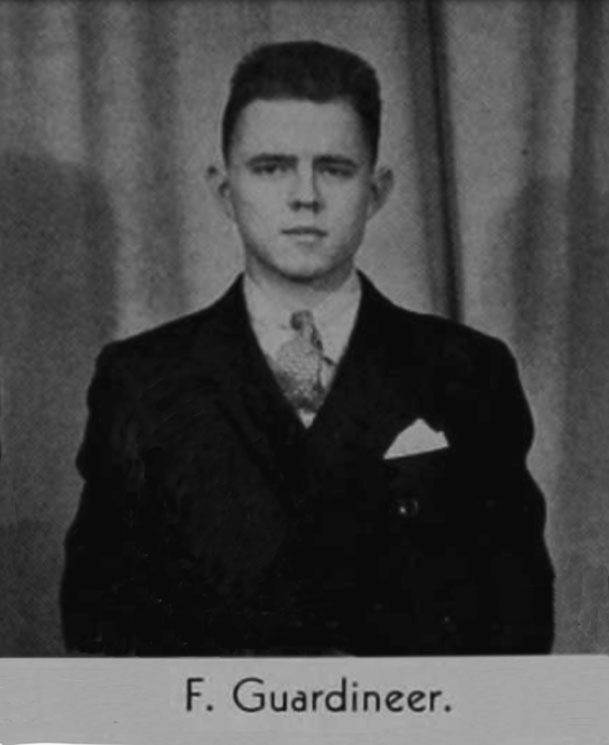 He became the Corresponding Secretary of the Babylon Tuna Club, for which he wrote and illustrated editorials that were published in several local newspapers. He even had a radio show. On July 3, 1959 the artist's father, Frederick Reid Guardineer, died at the age of seventy-eight in a hospital in Orlando, Florida. On June 18, 1981 Fred Guardineer's step-mother, Helen Gowen Guardineer, died at the age of eighty-four in Orlando, FL. On October 14, 1987 Fred Guardineer's wife, Ruth Ball Guardineer, died at the age of sixty-nine in Babylon, NY. In 1989 Fred Guardineer left Babylon, NY, and moved to San Ramon, California, to live near his son's family. 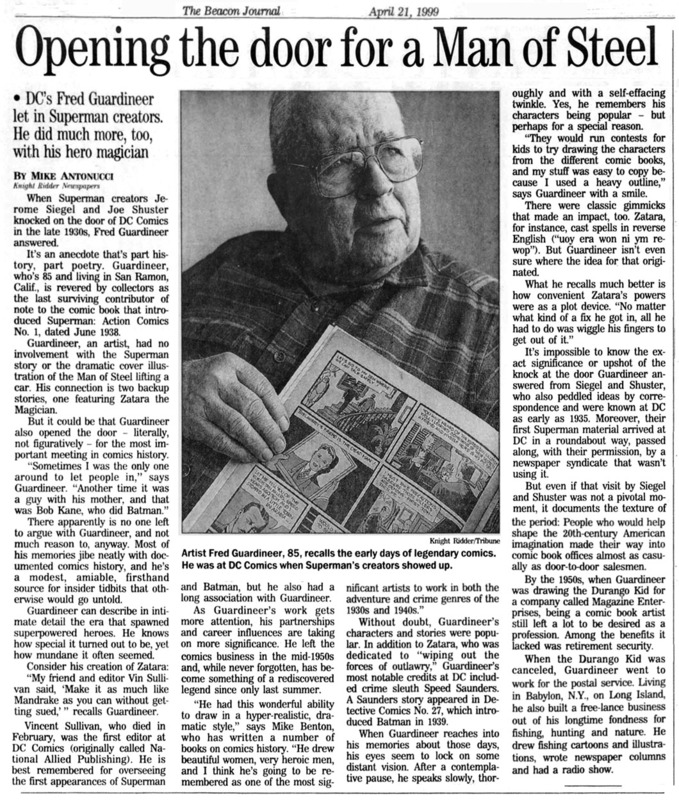 On April 21, 1999 The Knight Ridder Newspaper Syndicate published "Opening The Door For A Man Of Steel," a nostalgic human interest profile on the life story of Fred Guardineer. Frederick Blessing Guardineer died at age eighty-eight in California on September, 13, 2002.